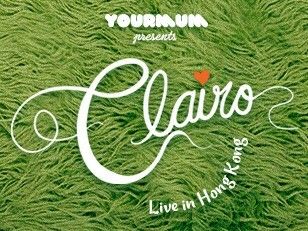 YourMum is delighted to announce that burgeoning bedroom pop sensation, Clairo, will make her live debut with us in Hong Kong on March 13 at TTN. Associated with soft, intimate vocals and daydreamy atmospheres, lo-fi singer songwriter Clairo (real name Claire Cottrill) is the twenty year old American electropop wonder whom rose to prominence in late 2017 when ‘Pretty Girl’ went viral on YouTube, amassing over 23 million views. Her stylized but low-key, melody-driven tunes striking a chord amongst music sharing sites and online vaporwave communities alike. Signing to Fader Magazine’s in-house Label, her debut EP ‘Diary 001’ followed in May 2018, showcasing her ability to blend playful synths and hypnotic nonchalance into something that is both instantly relatable and irresistibly charming. No surprise that the movie and TV syncs have followed, with Clairo’s music featured on HBO’s Ballers series and ‘Heaven’ being selected as the lead track in the critically acclaimed, coming of age film ‘Skate Kitchen’.